The smartphone world never shuts down. Every now and then, we get to see a new phone being launched by some company or the other. Every company eventually launches a phone that takes the world by the storm. 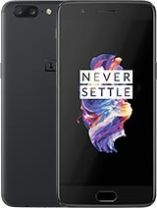 OnePlus is one such player that has recently launched a new phone and has been giving sleepless nights to most of the companies, primarily due to the fact that they bring devices with features that compete directly with the flagships at half their prices. OnePlus revealed their latest flagship killer phone, the OnePlus 5 on June 20, 2017. OnePlus is depending upon the success of their outing for their survival, as OnePlus 3T, despite having good specifications, couldn't garner the numbers in sales. Speaking of the design, OnePlus 5 derives almost all of its design from its predecessors and has a brushed Aluminium body, just like the . OnePlus apparently believes 'simple is beautiful.' The phone has been given a horizontal dual camera system on the back and a fingerprint sensor on the front. OnePlus has improved the bezel-to-screen ratio and has inclined towards installing a bigger display, leaving less space for bezel. It is being alleged that the design is copied from Oppo, but given that OnePlus is actually a subsidiary of Oppo mobiles LLC themselves, this is acceptable. On the display front, The phone has a 5.5 inch AMOLED capacitive display & features a 1920 x 1080 pixel FHD screen. Be whatever the case, the display is very good; looks like OnePlus phones keep getting a better display, year on year. Although a cuved display may not be here, but a 2.5D design surely is. OnePlus 5 is powered by the Qualcomm Snapdragon 835 Octa-Core SoC chispet, clocked at 2.45 GHz. The processor is powerful enough to play all games and run all applications without a problem; we know this by the performance parameters of the Samsung Galaxy S8. The SD 835 is manufactured using the 10nm process and comes equipped with the Qualcomm® Adreno™ 540 GPU. Full HD videos, whether streaming or watching fro storage, will be no problem for the device. All graphic intensive and 3D games would be played on the phone without any lag or stutter. The phone runs the Oxygen OS mounted on the Android v7.1.1 Nougat platform. The device also supports the Qualcomm® Quick Charge™ 4 technology, which is nothing but an improved version of the OnePlus 3T dash charge; the OnePlus 5 has a 5V -- 4A (20 W) dash charger. The phone is available with internal storage options of 64GB and 128GB. Just like previous OnePlus deices, the internal memory will be non-expandable. The phone comes with 6/8GB of RAM, which we think more than twice the enough memory, even for heavy multitasking. The phone will support dual SIM and would obviously support 4G LTE/VoLTE networks. The camera of no other phone garnered so much attention as much as the OnePlus 5. We have a 16MP f/1.7 + 20 MP f/2.2 Telephoto rear camera setup, that will be backed by phase detection autofocus (PDAF) laser and dual tone (dual LED) flashlight with 4-axis Optical Image Stabilization and optical zoom options. The camera features include Digital Zoom, Auto Flash, Face detection and Touch to focus. Shooting modes include Continuous Shooting and High Dynamic Range mode (HDR). The rear camera can shoot 2K videos @ 30fps. And FHD videos @30/25/24 fps (slo-mo). The front camera has a 16MP f/2.0 sensor with gyroscopic EIS tehnology as well. The cameras are surely capable enough to offer superb quality and highly detailed images. As far as multimedia is concerned, Apple Inc. is the only company that will be ditching the 3.5 mm jack. The Android segment is in no mood to let go of it and the OnePlus 5 has one with active noise cancellation and a dedicated mic with the Dirac HD sound technology. Apart from the device will support a wide range of both audio and video formats, such as MP3, AAC, MIDI, MP4, AVI, WAV, WMV etc. Overall, the phone will be a killer in the multimedia segment. The phone will feature a 3300 mAh Li-Ion non-user replaceable battery. Given the Qualcomm Snapdragon 835 chipset, we have the Quick Charge 4.0 technology to be surely present. But even though the chipset also supports Qualcomm® WiPower™ wireless charging there's no wireless charging. This puts the phone in the league of the flagships, but doesn't offer anything extraordinary. Talking about connectivity options, the phone supports Wi-Fi 802.11, a/ac/b/g/n 2.4-5GHz, Wi-Fi Direct, Mobile Hotspot, Bluetooth v5.1, GPS w/A-GPS, GLONASS, NFC for wireless connectivity. There's no FM radio. OnePlus 5 supports USB OTG for wired connectivity. Apart from that, the phone is connectible to a PC by a USB-C type cable, which will work as the charging cable for the phone as well. On the sensors department, the OnePlus 5 has a plethora of sensors; Light sensor, Proximity sensor, Compass, Gyroscope and Accelerometer are just the common ones. Apart from that, we have a 0.1 sec fingerprint scanner, hall sensor and a tachometer as well. Every phone comes with its pros and cons. The OnePlus 5 has its own. What kind of OS is present in the OnePlus 5? Will it receive OTA updates? The phone runs on Android platform with the latest Android version i.e. v7.1.1 (Nougat). The phone runs on the OnePlus custom OxygenOS based mounted on it. Yes, OnePlus 5 will get an Android v8.0 by the end of this year. How much memory does this phone come with? Is it expandable? This smartphone comes in 2 memory configurations i.e one with 64GB storage and 6GB RAM, whereas other comes with 128GB and 8GB RAM. The memory can not be expanded. What is the display size and type of this phone? OnePlus 5 display is 5.5-inches wide with an Optic AMOLED screen display type. It is a Full HD mobile with resolution of 1920 x 1080 pixels. What are the cameras provided? Is it Dual primary-cameras? The OnePlus 5 comes with all new dual primary-cameras which is the first device from OnePlus. On the rear camera, the phone has 16MP(Wide-angle) +20MP(Telephoto) with an aperture of f/1.7 and f/2.6 respectively. On the front camera, it has 16MP with an aperture of f/2.0. What are the key features of OnePlus 5? This smartphone has the great design, thin smartphone that feels light in usage, dual-cameras on back, great user experience, improved battery with fast-charging technology, powerful processor are the features we love in OnePlus 5. Which chipset and processor does this device has? The chipset(SOC’s) is powered by Qualcomm Snapdragon 835 chipset with Octa-core processor clocked at 2.45 GHz and uses the Adreno 540 GPU for graphics processing. Does the phone have dual SIM support? Yes. The phone supports two nano-SIM cards. What networks is the phone capable of connecting to? The phone can connect to 4G LTE networks conforming to VoLTE standards. The phone also supports 3G HSPA/UMTS and 2G EDGE/GPRS cellular networks. Does the phone come with a 3.5mm earphone jack? Yes, the phone features a 3.5mm audio jack. What is the device’s battery capacity ? The battery is decent and comes with 3300 mAh charge capacity. The battery is Li-ion type and is non-user removable. The charging performance has improved by 20% from its predecessors. How many sensors are present in this device? There are no. of sensors present that include Fingerprint, Hall, Accelerometer, Gyroscope, Proximity, RGB Ambient Light Sensor, Electronic Compass, Sensor Hub. Does it support dash charging? Yes, it supports dash charging technology and output of 5V/4A. What are the dimensions of this device? The device dimensions are as 154.2 x 74.1 x 7.25 mm. How much does the device weigh? The weight of this phone is only 153g. What are the connectivity options included in the phone? The phone is expected to feature Wi-Fi 802.11, a/ac/b/g/n/ 2.4 GHz - 5 GHz, Wi-Fi Direct, Mobile Hotspot, Bluetooth version 4.2, A-GPS, DLNA, GLONASS. Does it provide NFC support? Yes. It is an NFC enabled device.